Is your company in Oregon? Is it a startup or early-stage company looking for angel investment? Does it have the kind of team and growth prospects that can make money for investors? 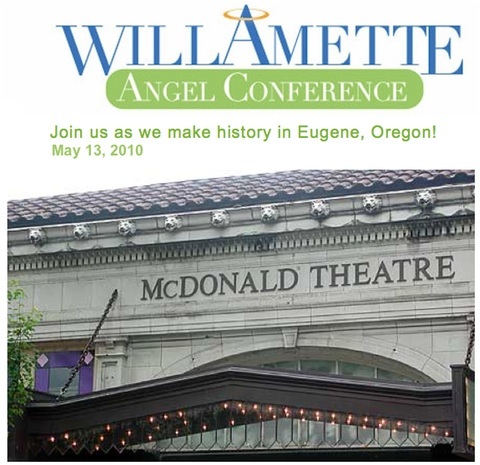 If you answered yes to those three questions, please go to the Willamette Angel Conference (WAC) website and submit your company for WAC 2010, to be held in Eugene, Ore., in May. Yes, it will cost your company $199 to submit a plan. (For the record, that money goes to affray the costs of the event; not a penny of it goes to the investors.) But how can it not be worth that to get your company in front of legitimate investors? At the end of the May 13 event, the angel investor group will have chosen a company for an investment of more than $100,000. Even if you don’t win, what’s it worth to get feedback from people who are ready to invest real money in real companies? These people will be reading your summaries, watching your online videos and, if you get to the semifinals (12 to 15 companies will), they’ll be reading your business plan, listening to you deliver your pitch, asking questions, making comments and giving your feedback.